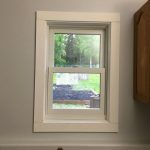 Double hung windows have been a homeowner favorite for decades. 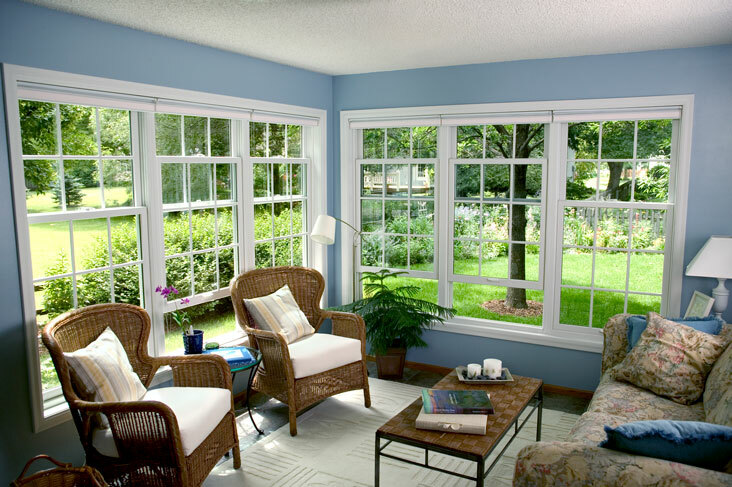 These classic windows combine elegance and functionality in a way that few other window styles can match. Renewal by Andersen’s double hung windows maintain the simple appeal of earlier models while taking their quality to a whole new level. The days of wooden frames and single-pane glass are over. Our windows utilize innovative Fibrex® frames and advanced glass packages that will improve your curb appeal while lowering your energy bills. 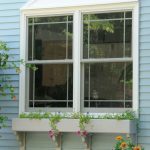 Don’t be tempted to buy just any double hung window from any window contractor. 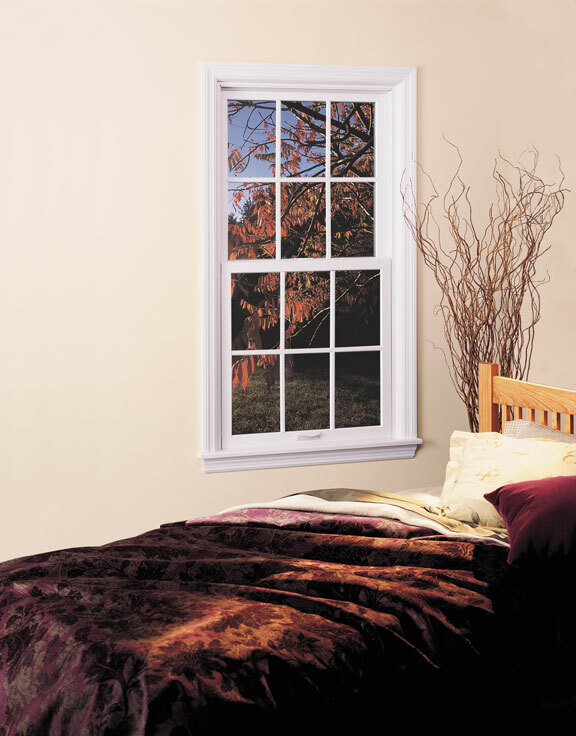 Our double hung windows tilt inward for easy cleaning. 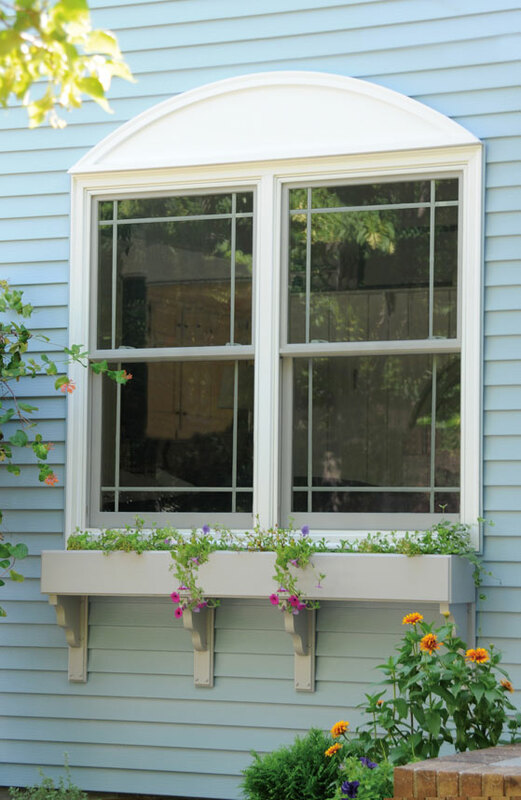 With our windows, you’ll never have to use the ladder or garden hose for maintenance again. 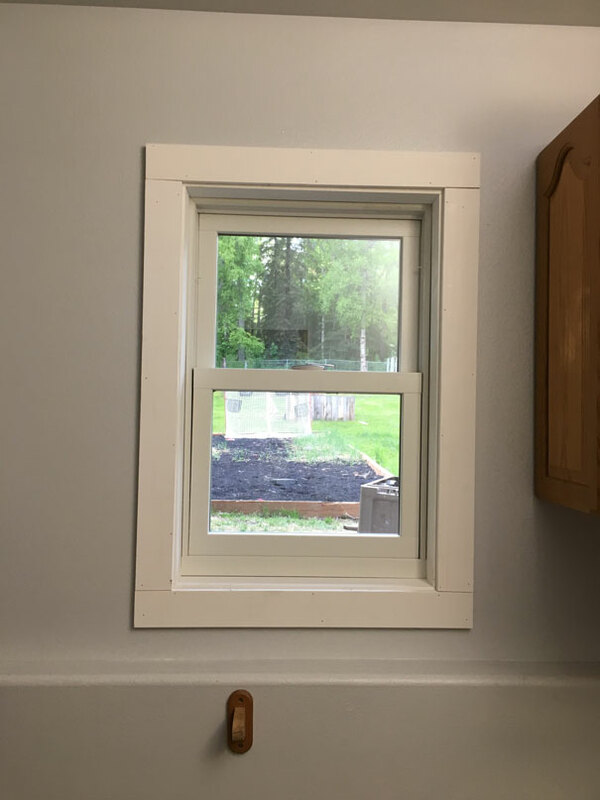 Just one fluid motion and you’ll have access to the outside of the window while inside your home. 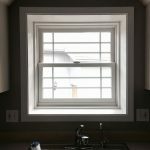 Another benefit of double hung windows is improved ventilation. Both the top and bottom window panes of Renewal by Andersen’s double hung windows can be opened wide to let fresh air in and stale air out. When the seasons change or wet weather moves in, you can count on your double hung windows to provide an airtight seal, keeping your home safe and comfortable without using more energy. 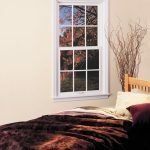 Our double hung windows come in three styles that are sure to match and enhance your home’s architectural beauty. Standard double hung windows feature identically sized sashes, while cottage-style offers a larger lower sash and oriel-style, a larger upper sash. You won’t get our wide selection of interior and exterior colors from any other window contractor. Enjoy more hardware, glass and grill options too! Work with the premier window contractor in Anchorage; work with Renewal by Andersen of Alaska. Call (907) 290-5778 or fill out our contact form to schedule your in-home consultation today. 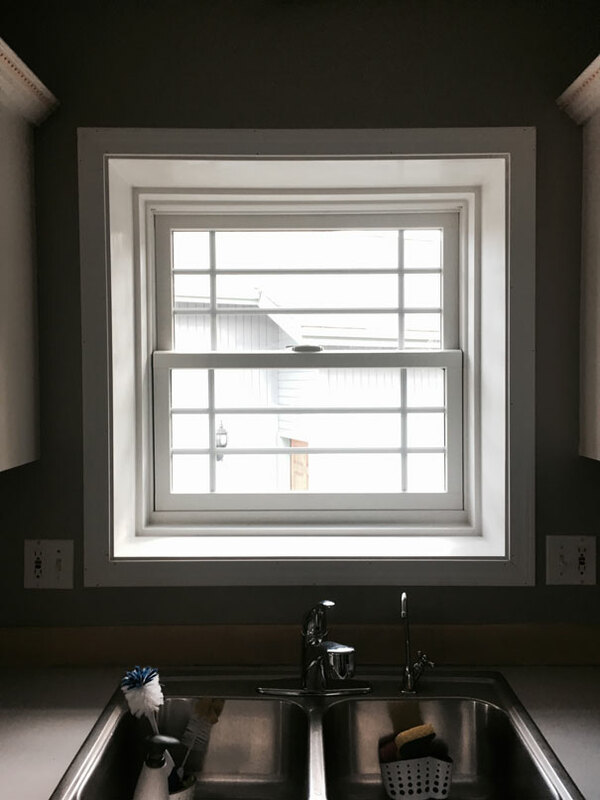 You’ll love your new windows! You can match any color to complement your home using the Renewal by Andersen® replacement window color palette. With 47 different color combinations, we have taken every measure to provide an extensive variety of options to combine popular colors with other hardware, grille, and glass choices. *See your consultant for available combinations. *Colors merely representational. Your design consultant can provide actual samples. Choose from our simple yet elegant standard hardware and finishes or upgrade to the sophisticated Estate Collection. Whatever you choose, expect a sparkling finishing touch to your replacement windows. Achieve the enhanced look of your home that you have always wanted with one of our many grille patterns. All of our grille designs, from colonial to prairie and farmhouse, are created to offer long-lasting performance with little to no maintenance. You choose how many squares comprise each sash. A classic style with two vertical bars in each window. A design that always includes two vertical bars and two horizontal bars on each sash that create a “picture frame” look. This pattern features two horizontal bars and two vertical bars per window instead of per sash. Hardwood grilles allow for easy glass cleaning as the grill snaps into clips on the sash interior that can be easily removed. Available in two widths. This aluminum pre-finished grille is permanently installed between the panes of glass to provide the speedy glass cleaning of a smooth surface. Available in two widths and an array of colors. A permanently attached exterior Fibrex® grille, an aluminum spacer between the glass, and a permanently applied (or removable) interior grille makes this a visual replication of true divided glass. Also available in two distinct widths. Renewal by Andersen® introduces the next generation of low-maintenance, energy efficient glass with High Performance™ Low-E4® SmartSun™, furthering the Andersen® advantage. **A study comparing Low-E4® SmartSun™ glass to ordinary dual pane glass revealed a 25% savings on cooling bills and 10% savings on heating in identical homes. Savings may vary. High Performance™ Low-E4® SmartSun™ glass works much like sun block lotion to reflect ultraviolet (UV) rays that can fade fabric coloration and damage furniture. Ordinary dual-pane glass lets as much as 63% of UV rays enter the room. High Performance™ Low-E4® SmartSun™ glass is comprised of 11 microscopic layered coatings that cut UV transmission down to just 5%, while retaining the clarity or color of the light that enters your house. Sound penetration is also significantly reduced when compared to single and double pane glass of other makers. Every single Renewal by Andersen of Central NC® window selection comes standard with our Low-E4® SmartSun™ glass, and the technology is exclusive to Andersen® windows and doors. *On exterior surface when activated by sunlight. Each one of our unique glass options offer a varying degree of benefits within the categories of heating, cooling, ultra violet (UV protection) and visible light transmittance. 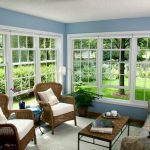 The climate you live in, the architectural features of your house, the angle of your windows to the sun, and the “custom climate” you hope to create for your home all help determine which option is the ideal solution for you. Our standard offer in Alaska is the High Performance™ Low-E4® SmartSun™ glass and is the single most energy efficient option we have ever had the pleasure of offering to our customers. Compared to ordinary dual-pane glass still performs 45% more efficiently during the winter and 56% more efficiently in the summer. ** You can decrease your energy bills by up to 25% and block 84% of all harmful ultra violet rays, depending on where you live. High Performance™ Low-E4® SmartSun™ glass is the single most energy efficient option we have ever had the pleasure of offering to our customers. Compared to our standard offering, Low-E4® SmartSun™ is 45% more energy efficient during the winter and 70% more efficient during the summertime. It is exceptional in both warm and cold climates and blocks 95% of harmful UV rays from entering the house. Your pocket will feel fuller, and your furniture, artwork, drapes, and carpet will look brighter. High Performance™ Low-E4® SmartSun™ glass gives you access to the highest rated product we have available for preventing solar heat gain from trapping unwanted heat inside during the summer months. Our High Performance™ Low-E4® SmartSun™ glass uses a tinted coating to reduce the amount of light streaming in to create the perfect indoor viewing conditions. *Exterior only, when activated by sunlight. **Values taken from a comparison of U-Factors and SHGCs for clear glass non-metal frame default values from the 2006 International Energy Conservation Code (IECC). See what you’ve been missing. Miss what you’ve been seeing. Included with every operable window is our lightweight insect screens that easily lifts out for convenient cleaning. The view from your window stays as clear as if you were looking upon it from the great outdoors with our new TruScene® insect screen. With more than 50% greater clarity than standard insect screens, they are virtually invisible. The TruScene® insect screen is made with micro-fine stainless steel mesh that is a third of the diameter of standard screen wire to let in more sunlight and more fresh air all while keeping out even the smallest insects. Now you can see the great outdoors without seeing the old fiberglass screens. Comparisons are made to Renewal by Andersen® standard insect screens. See what you’ve been missing. You won’t miss what you’ve been seeing.